I break the pattern once again in honor of the Astros’ World Series win. Today is Parade Day. Nobody’s getting much (any) work done. But at least we’re starting that long, dark tea-time of the soul known as the off season in style. I think you can find some stories about this particular news item on your own. On behalf of every sleep-deprived Houstonian, congratulations to the Astros! A great achievement, and a huge burden relieved. Now go get ready for a parade. Who still misses the National League? The Chron’s Brian Smith makes the case for acceptance of the Astros’ league change. Admit it: You don’t think about the old National League that much anymore. 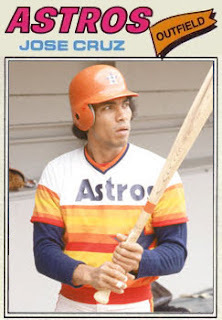 I devote a lot of my daily brain space to the Astros, and I rarely do. Saying “Jose Altuve, American League starting second baseman and leadoff hitter” sounds just fine. Seeing George Springer and Carlos Correa in the AL’s lineup against stars from Washington, San Francisco and Cincinnati felt perfectly normal Tuesday. About 1,050 long and boring miles, Glenn. And I guarantee you never would think about making that slog now, especially when you can watch the best team in the American League at home and are just three months away from being able to buy a playoff ticket at Minute Maid Park. Look, the hate was real. I got it then, and I get it now. One of the greatest things about baseball is its history, and any time that’s threatened – steroids, cheating, realignment – all of us believers get very, very serious. “It became evident the move to the AL was an issue,” owner Jim Crane said in November 2011, after MLB approved the Astros’ sale and dictated the move to the AL, giving each league 15 teams and all divisions five clubs apiece. Isn’t time funny? And isn’t it crazy what winning – and players and a team you believe in – can do? The late-night West Coast games are still a chore. Outside of the Texas Rangers – who are 16½ games back, if you haven’t heard – I’m still not sold on any of the Astros’ other AL West opponents. But Selig’s move is actually helping the AL’s best team in 2017. Four of baseball’s five best clubs are in the NL, and the Astros actually would be second overall in their old league, trailing the Los Angeles Dodgers by half a game. Selig also helped push the Astros into the postseason in 2015. The two NL wild cards had at least 97 wins. The 86-win Astros needed until Game 162 to clinch the sport’s last playoff spot and wouldn’t have sniffed a Division Series if they still played in the NL Central. Smith got some passionate feedback on this, as you might imagine. I’m a Yankees fan from Staten Island, so I have no emotional investment in this, though I can certainly understand why longtime fans would not be over it yet. 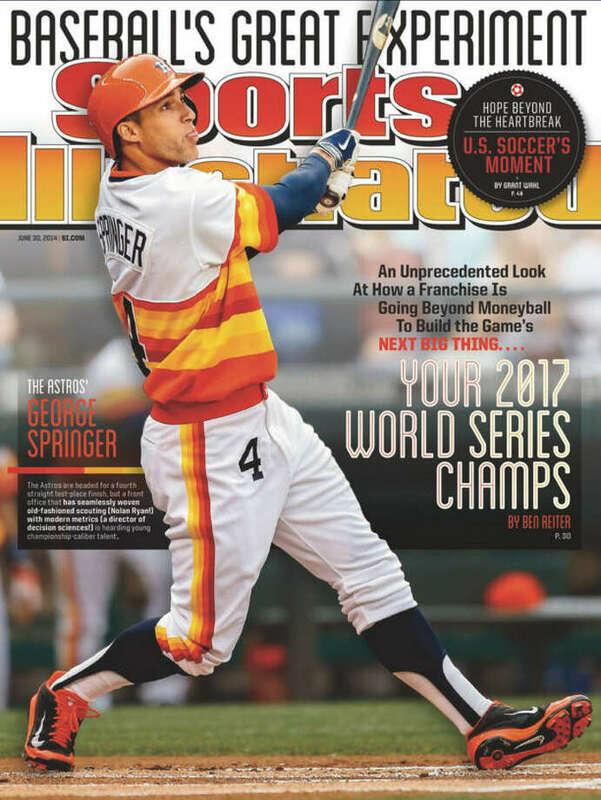 On the plus side, consider that if the Astros make it to the World Series this year, they could be the first team ever to win a pennant in both leagues. For that matter, if they wind up playing the Milwaukee Brewers, then both teams in the World Series would have that distinction – the Brewers won a pennant in 1982 when they were still in the American League. Given that they’re the only two teams to switch leagues, there’s not much competition for that distinction, but it would be pretty cool nonetheless. Whether it makes anyone feel better, or at least less upset, about the league switch, I couldn’t say. The Associated Press reported early Thursday morning that, as a part of the new collective bargaining agreement, home-field advantage in the World Series will no longer be determined by the All-Star Game. Home-field advantage will now be awarded to the pennant winner with the better regular season record. After the 2002 All-Star Game ended in a 7-7 tie, Major League Baseball and the players’ union agreed to allow the “midsummer classic” to decide home-field advantage for the 2003 and ’04 seasons. That agreement was extended to ’05 and ’06 and then was made permanent. Critics have rightfully said that the All-Star Game is a rather capricious way to determine home-field advantage, which can sometimes be a big factor in the outcome of the season’s final series. Compared to regular season and playoff games, players are oddly used as position players tend to stay in for about three innings and pitchers only get an inning or two on the mound. Players don’t tend to take the game as seriously as they would a regular season or playoff game. Thank goodness. This was such a dumb thing to do, done in a panicked way after that tie game and the nonstop chatter about it in 2002. The All Star Game has always been an exhibition game, originating in a time when the American and National Leagues were truly separate entities. Even if there was a legitimate need to make a for-funsies game more competitive and meaningful – which I have always argued was baloney – tying its outcome to the World Series made no sense. This is a much more rational way to determine home field advantage. Kudos to all for finally getting it right. Deadspin and Fangraphs have more. How cursed is Houston as a sports city? So another Super Bowl is history, and as you might have noticed the Houston Texans were not be playing in the game. This continues an unbroken streak of Houston football teams not making it to the Super Bowl, some in particularly heartbreaking fashion. The Astros have never won a World Series, having only won one pennant in fifty-plus years of existence. Were it not for two NBA titles by the Rockets in the 90s, the city of Houston would be completely championship-free for the major sports. You may be wondering how Houston compares to other big league sports cities in this department. I was, so I did a little research to find out. I limited myself to the last 40 years, mostly because ancient history is only of so much comfort to most fans. (For what it’s worth, Bill Simmons uses a 35-year period for assessing true wretchedness.) With that in mind, here’s what I found. Let’s start with the cities that have had nothing to celebrate in that time span. Any discussion of cursed sports cities has to start with Cleveland. Their last title of any kind was a pre-Super Bowl NFL championship by the Browns in 1964. Since then, they’ve had The Drive, The Fumble, the relocation of their team to another city where it then went on to win a Super Bowl a few years later plus another this year, and all that is before we discuss the Indians (last World Series win 1948) or the Cavaliers. See here, here, here, and here for more. Really, there’s no question about it. No other city is in Cleveland’s class when it comes to sheer sports misery. 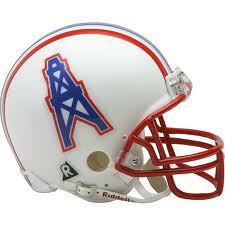 Buffalo is first runnerup, though I doubt anyone in Houston will offer much sympathy to them. Besides the Bills losing four consecutive Super Bowls, not to mention the Music City Miracle, the Sabres are oh-for-two in Stanley Cup finals, with the most recent loss being as controversial as it was gut-wrenching for their fans. They’re not quite in Cleveland territory, but they’re closer than anyone else. San Diego has lost two World Series, both times getting swept by teams of the ages (1984 Tigers and 1998 Yankees), and one Super Bowl, but it’s hard to think of anyone in San Diego as being cursed. Seattle managed to never win a pennant despite fielding teams that featured as many as four future Hall of Famers plus Jay Buhner; I include them here since their one title was won by a franchise that has since relocated. Out of that group, I’d probably rank Minneapolis and Kansas City as more cursed than Houston. The Vikings are also 0-4 in Super Bowls, with several other heartbreaking playoff losses, the Twins can’t get past the Yankees, the North Stars won the Stanley Cup after relocating to Dallas, and the Timberwolves watched Kevin Garnett win two NBA titles with the Celtics. Both Kansas City teams have been poorly run for years, though the Royals are a little better these days. New Orleans would have had a decent claim to superior cursedness before their Super Bowl win; as long as Drew Brees can play at his level, they’ll have a chance. The other cities for the most part don’t inspire much sympathy. Atlanta may have the hapless Hawks and the feckless Falcons, but they also had Greg Maddux and Tom Glavine. Indianapolis replaced Peyton Manning with Andrew Luck and rebuilt a contender after one season. Tampa and Phoenix haven’t been big league long enough to inspire real misery. No city that roots for the Packers can truly be cursed. So, putting it all together, I’d probably rank Houston as the sixth most cursed city, following Cleveland, Buffalo, Seattle, Kansas City, and Minneapolis. Your mileage may vary, but that’s how I see it. How would you rank the losers? The year in parentheses is when they next won the World Series. The Tigers had the hardest luck among them – among the original 16 teams, only the Phillies (1950), Dodgers (1955), and St. Louis Browns (1966, as the Baltimore Orioles) took longer to win their first championship. The Rangers, going back to their days as the reborn Washington Senators (the original Senators franchise became the Minnesota Twins in 1961), now have a longer drought than every team except the Dodgers and Browns/Orioles (the Astros are a year behind them), but they do have the chance to be the first team in 99 years to lose three World Series in a row. I don’t think that will be much consolation to their fans, however. UPDATE: Of course, the Phillies won their first World Series in 1980, not 1950. Some days I really do need an editor. Thanks to Ed Sills for the catch. In 2001, the Arizona Diamondbacks won their first pennant and their first World Series title. In 2002, the Anaheim Angels won their first pennant and their first World Series title. 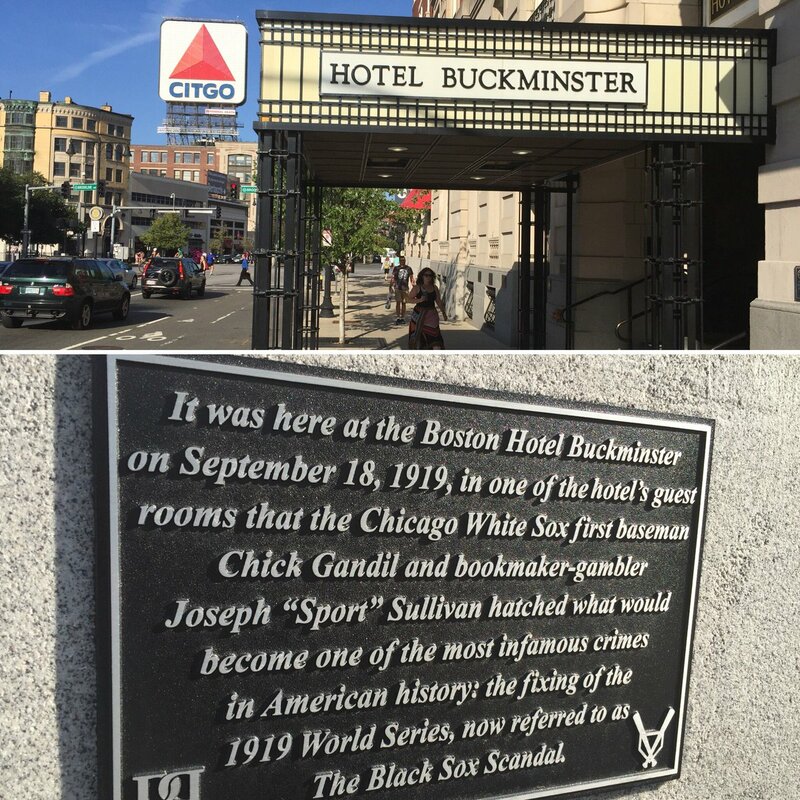 In 2004, the Boston Red Sox won their first World Series title since 1918. 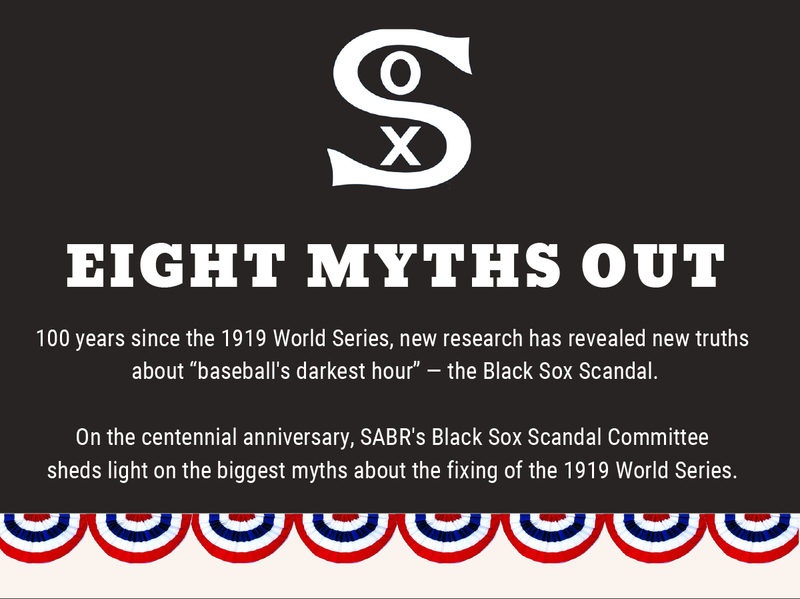 In 2005, the Chicago White Sox won their first World Series title since 1919. They defeated the Houston Astros, who had won their first pennant. In 2007, the Colorado Rockies won their first pennant. In 2008, the Tampa Bay Rays won their first pennant. In 2010, the San Francisco Giants won their first World Series title since 1954. They defeated the Texas Rangers, who had won their first pennant. So since 2001, six teams won their first pennants, three won their first-ever World Series titles, and three won their first World Series titles in over 50 years. That’s what I call hope and faith. And congratulations to the world champion San Francisco Giants. A New York congressman who called for the league to move the 2011 game from Phoenix is the latest person to push for an economic boycott against the state in protest of the new law. Companies have been pulling conferences out of Arizona resorts while others have suggested consumers shun companies, such as US Airways, that are based in the state and have yet to condemn the the law. Forty percent is an overstatement – from what I’ve seen elsewhere, MLB is about 27% Hispanic – but the exact number is not particularly important for these purposes. Andrew Zimbalist, an economics professor at Smith College who focuses on sports, said the economic loss from one game would have “a pretty small impact” on Arizona but that the attention it would draw could be damaging. “A publicity campaign that goes on for months and months and months makes other people, who have nothing to do with Major League Baseball, stay away from Arizona,” Zimbalist said. It’s not just the All Star Game, though that would be a nice symbolic place to start. About half of the teams have spring training sites in Arizona. Get them to pull out, and you’re starting to talk serious hurt. Plus, just getting the first high profile rebuke like losing the All Star Game would send a message that this is the right thing to do. Someone has to be first. [Padres star Adrian Gonzalez] told FanHouse that he will not attend next year’s All-Star Game in Phoenix if the law is in effect, and that he’d like for major league baseball to boycott spring training in Arizona. Gov. Jan Brewer signed the bill into law on April 23. “I’ll support the Players Association 100 percent,” said Gonzalez, who grew up in both Tijuana and a suburb south of San Diego. “If they leave it up to the players and the law is still there, I’ll probably not play in the All-Star Game. Because it’s a discriminating law. That’s a lot of people speaking up, and there will be more to come. I just hope Bud Selig is listening. And as long as we’re sending messages to the Commissioner, would someone please tell him to drop that stupid “league that wins the All Star Game gets home advantage in the World Series” idea? Thanks. US Major League Baseball commissioner Bud Selig has proposed to launch a “global World Series” between US and Japanese champion clubs, press reports said Friday. Selig’s Japanese counterpart, Nippon Professional Baseball commissioner Ryozo Kato, told Japanese media on Thursday the proposal was made when they met in Milwaukee on Tuesday. Selig, who is due to retire in 2012, “said he was not floating the idea as a dream but he wanted to deal with it as a real issue”, the Nikkan Sports daily quoted Kato as saying. I don’t know how this would work – certainly there would be logistical issues if you wanted this to be a best-of-seven series with games played in each team’s stadium – but I like the idea and hope all involved can make it work. And maybe someday, get other countries’ league champs to play as well.